My general attitude toward most gear and gadgets — kid-specific or not — is that you probably don’t need it. But a few household items are so useful and multifunctional they deserve special treatment. 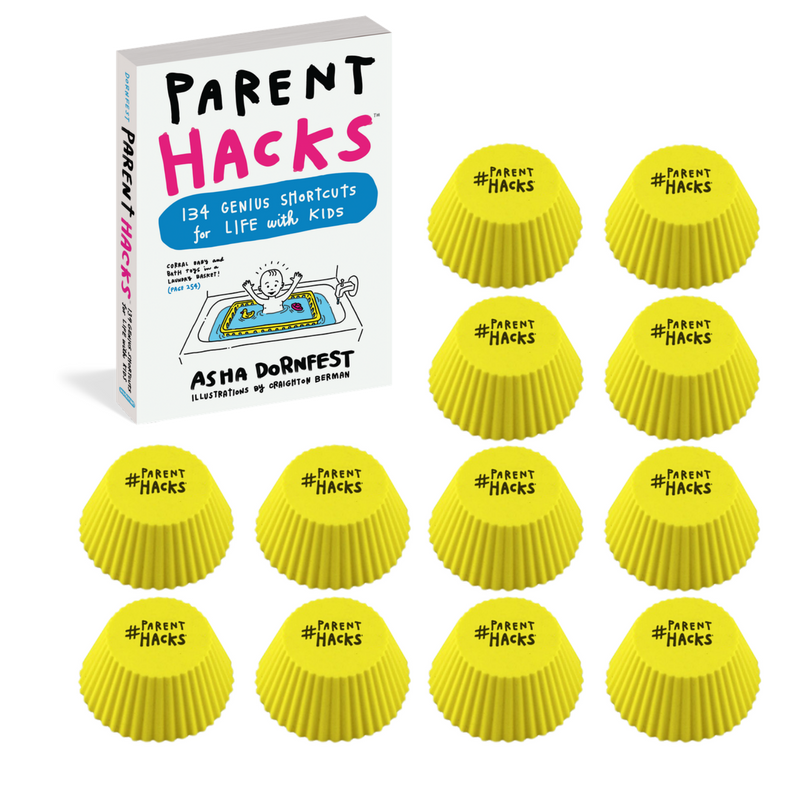 When my publisher and I were dreaming up a fun thank you gift to send to the first Parent Hacks book readers, we wanted to choose one of these magical multitaskers. Something you could put to use as soon as it arrived in the mail. After much brainstorming we hit upon it…a silicone baking cup! You know those disposable paper liners you use when baking cupcakes or muffins? They also come in flexible, heat-safe, silicone, and are useful for way more than baking. If you’re scratching your head wondering why would I need a silicone baking cup?, read on, because I’ve compiled 10 uses for silicone baking cups, and I’m sure there are more I haven’t thought of. For the bento-box inclined, these make perfect separators for small servings of fruit or other goodies you don’t want rolling around inside the box. Kid-sized servings of goldfish crackers, jello, mini pretzels, grapes, nuts…also good for holding dip for vegies and chips. Great for beads, paper clips, and other tiny parts that tend to migrate as you use them. This one comes from my husband, the board game designer. 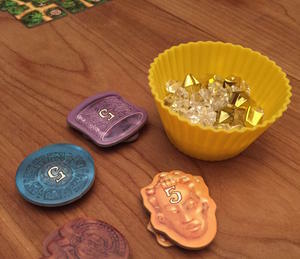 He has his very own set of silicone baking cups so each player can use one to hold small game pieces. I like this tip so much it appears in the book. You know how kids use the car’s cup holders for collecting rocks, wrappers and other flotsam? Pop a baking liner in there for easy cleaning. Use a baking cup to hold pre-measured seasonings and ingredients so you can streamline cooking dinner. My daughter loves to eat poached eggs. I don’t love to cook them. At least I didn’t till I found this effortless method for poaching eggs in a silicone baking cup. Another one from my husband, AKA Builder of All Ikea Furniture. He keeps all the hardware bits together using his trusty set of baking cups. I take my jewelry off before I get in the shower, and I’m paranoid I’ll knock my earrings into the sink and down the drain. These make perfect little holders. Now that you’re dazzled by the awesomeness of silicone baking cups, here’s how to get yours! Don’t Miss This Black Friday Deal! 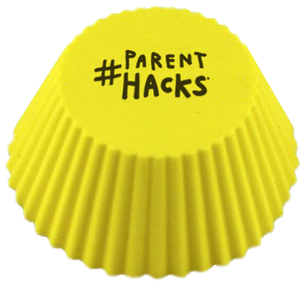 Buy PARENT HACKS between November 25-28, 2016 and get a FREE set of 12 reusable silicone cupcake liners! 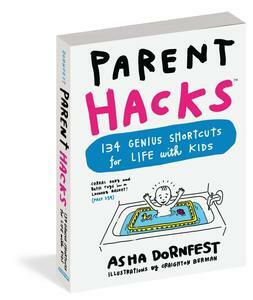 Purchase PARENT HACKS at your favorite online- or brick-and-mortar bookstore between Friday, November 25 and Monday, November 28, 2016. Email BOTH your order confirmation or a picture of your receipt AND your mailing address to parenthacksdeals@gmail.com. That’s it! You’ll receive your free gift in the mail before December 25! 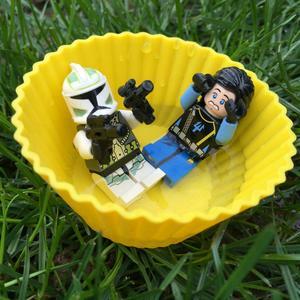 Lego hot tub is my favorite. Funny story: when we were kids my older brother convinced the youngest in our family that lego bricks would explode if they ever got wet. (This was in response to her trying to put a lego pirate boat in the tub.) To this day, even though I know he was messing with her, it sticks in my mind not to let lego get wet!